Bailey is the first member of my dog family. From the day I saw those big brown eyes look up at me when he was 10 weeks old, I was in love. 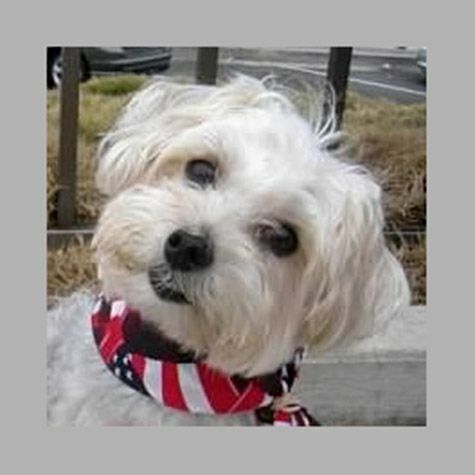 Bailey is a Morkie, a Maltese and Yorkie mix. He loves to cuddle up on our bed at home. When we visit at the hospital, he jumps right into bed and snuggles with the patients, making them feel right at home. He loves to pose for pictures, and he really loves his pay - a good pat on the head and a treat or two for good measure.